I call this one "The Journey of an Upside Down Heart to Love and Spirit"
It's been through the plants, Milly, family and support of my friends, I've gone from abysmal darkness to find a place of growth and upward evolution. I really struggled from an early age. It's been slow, bit of up and down but as you grow and regain conscious choice from long-term illness, you find a good place. I'm really new to any sort of creativity, I'm not an artist but this is like the way it feels to, through nature and lovely souls, grow into healthier place. This not a tea, just a mindful moment of reflection on Life. I've found deep healing in a mild plant spirit medicine approach. Our Plant Allies captivate us through our senses first, and then when we slow down enough to look deeper, we become engaged on a soul level. 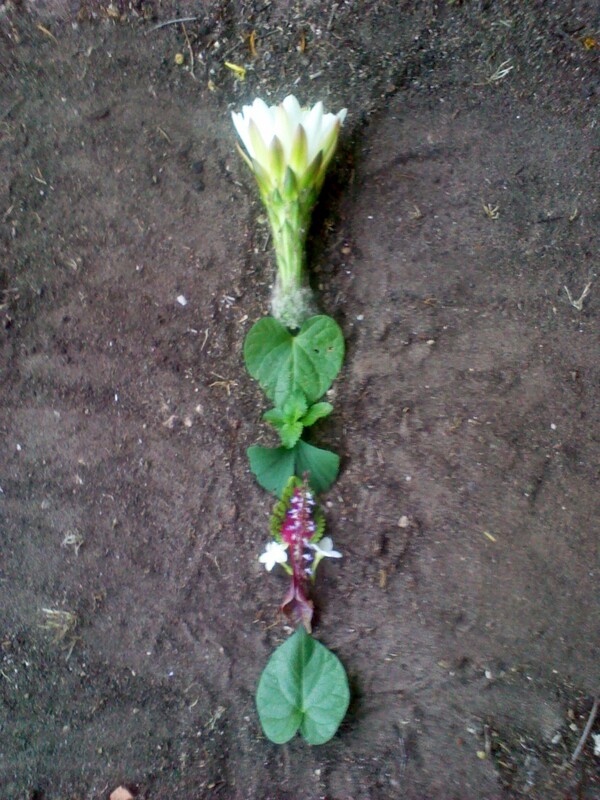 This is the heart of plant spirit medicine. Immersed in the energy of a Plant ally, we begin to get a glimpse of the world through it's eyes. We begin to understand an aspect of being-ness in a new way that we hadn’t seen before. We can apply this to our lives, the cycles we go through, our relationship patterns and habits of thought. When we are in creative mode, we are able to simultaneously give and receive. We give the Plant our awareness and attention, and we receive its healing vibrations and messages. As we create, we clear space within ourselves to listen. Find a way to work with you plant allies as to engage creatively. You are observing the plant in fine detail, etching it into your memory, and creating pathways between its image, your heart, and hands. You will be connected again to your experience with the plant, remember, and practice bringing it's vibration into your everyday thoughts, perceptions, and decisions. Trust your intuition and your unique creative process, as we interact more and more with our plant friends, we receive more and more ideas of how to interact creatively. As your energy and your plant friends energy merges, you begin to co create and manifest your most exquisite visions of harmony. It is helpful at this time to observe the thoughts, feelings, perceptions and sensations that arise in the body in response to the Plant. This information holds seeds of consciousness about how we can grow spiritually/emotionally in the area that comes to mind. The intuitive connection that is made between observation of the Plant and observation of oneself is a catalyst for a new cycle of awareness and understanding. Study a plant in its natural environment. Plants give us clues to help us identify how they might help us. By observing a Plants colour, shape, growth pattern and environment, we gather information and begin to make a connection with something we already know. Today a mindful tea before I ventured into the World, fresh from the garden, for finding my Wings, a spiritual soul ascension tea. It's not just a procognitive nootropic tea, it's a spiritual tea. 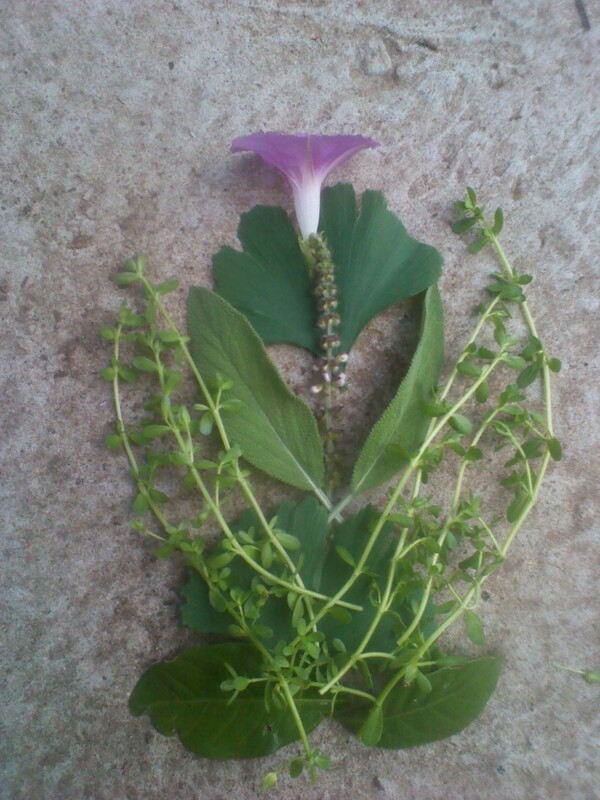 I really enjoy getting creative in the garden and making just simple sustainable medicinally healing teas. This one establishes connection between Earth, Self and the Heavens. Morning glory represents love, affection and longing but in a spiritual way, this represents my spiritual connection to Milly. Sage has a protective effect, "to save"
Gardenia is one of the most frequently used herbs in Chinese medicine. Did some reading, surely I'm not the only one who does these things? "The season of Spring presents a time for us to align with our inner truth, the seeds inside of us waiting to blossom with the droplets of rain and sun. One of my most loved rituals is the practice of creating an Earth Mandala, a Healing Circle, a Flower of Life, a cosmic diagram connecting us to the Universal oneness. It is an offering of prayer and love to Mother Earth and the Spirit of the land where you live. This ritual was inspired by the sacred Andean Despacho ceremony of the Inka tradition. Since ancestral times, people of the Andes have used this ceremony to connect themselves with the harmony of nature and to live in Ayni, in reciprocity and right relationship. To practice Anyi is to acknowledge the interconnection between human beings and the natural world that sustains us. In Peru, a Despacho ceremony is performed by the Q’ero shaman to honor Pachamama, Mother Earth or the Apus, the Mountain Spirits. 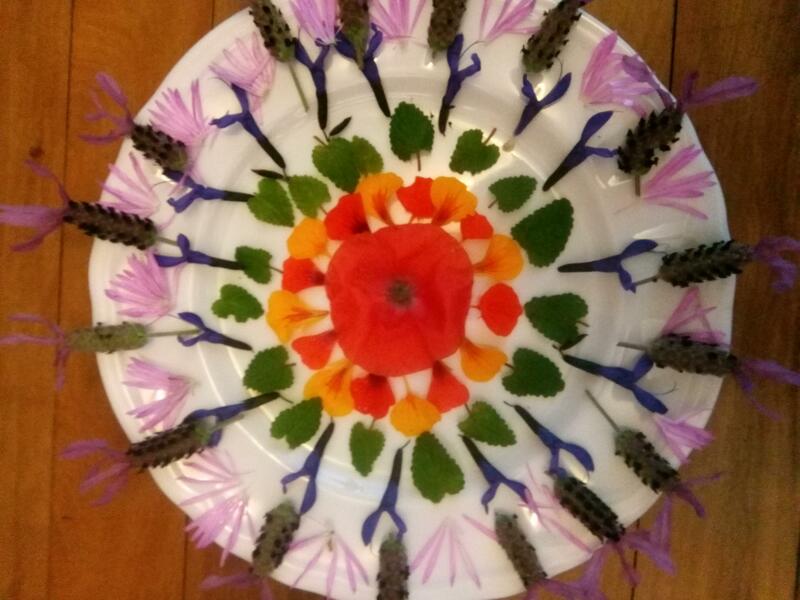 Using various natural elements as offerings to represent the stars, rivers, clouds… the shaman creates a three dimensional Mandala composition as a symbolic act of respect for all of life." I've been experiencing a strong connection to the natural world lately, plants, birds etc. 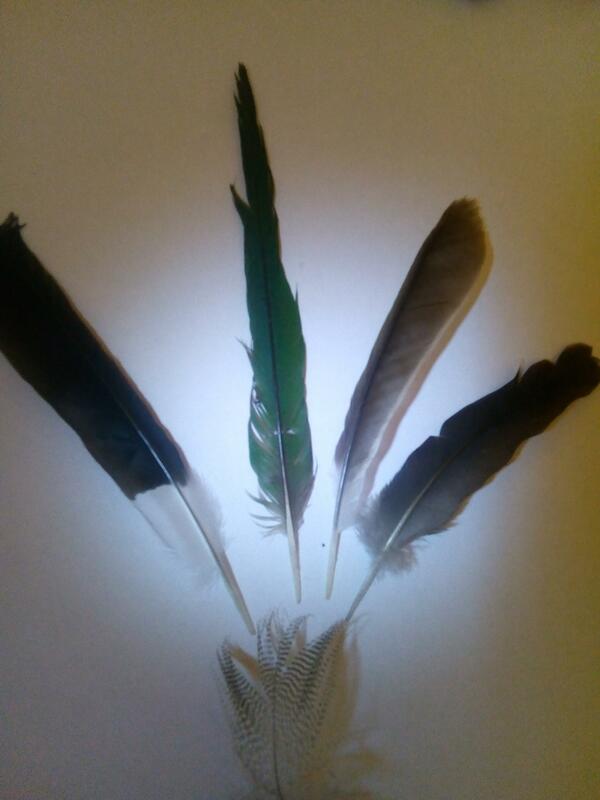 "When a feather arrives for you, Spirit is reminding you of your spiritual origins and deep connection to your home beyond earthly realms." "Feathers come to us as gifts. They come from the sky, from the sea, from trees and deep grasses, even appearing within enclosed spaces never inhabited by winged creatures. They come to us unexpectedly, but not without purpose. Their messages may be startling, soothing or sudden, but they are always an opportunity for seeing – for finding answers to questions we may not even have known we were asking. What, then, is a feather? It is a part of a bird’s body, and it is a part of us. It exists for itself, to serve its primary purpose in the cosmos, and it exists in alliance with every other aspect of the cosmos. Just as we bring life-inspiring messages for others while simply fulfilling our own lives, so do feathers bring their messages to us. They remind us that we walk in a world overflowing with meaning."